Our emergency dentist in Holland, Michigan wants to make sure you have all the information you need to take good care of your smile. Whether you have a persistent toothache or a chipped tooth, you’ll find some of our helpful tips below for what you should do next. Our 24 hour dentist is also on call 24 hours a day, 365 days a year for emergency dental care. Please contact us with any questions you may have. Continue reading to learn 7 tips from our emergency dentist in Holland, MI. What do I do during a dental emergency? Don’t wait to call our office. Floss to remove trapped food. Pick up tooth by the crown. We understand that you may be panicking after chipping a tooth or having a tooth knocked out. However, it’s important that you stay calm while seeking emergency dental care. That way, you’ll be able to better remember the instructions we give you for how to handle the dental emergency. The longer you wait to treat a painful tooth, the more likely the condition will worsen. While our emergency dentist does everything in his power to save a tooth, his options are limited if you wait until the last minute to schedule an appointment with our office. For example, waiting to treat a cavity could mean the difference between needing a simple filling and an emergency root canal. Your ability to focus on driving is compromised when you’re in pain or stressed about what’s going to happen to your smile. We recommend having a loved one drive you to our dentist if you’re in a lot of pain. That way, you’ll also be able to focus on applying first aid until you can see our 24 hour emergency dentist. If you feel a toothache, humor us and just try flossing gently between teeth. It’s not uncommon for small particles of food to get caught between teeth. When this happens, it can make the gums sore and even give you a toothache. If you notice a piece of food come out with flossing, wait to see if the tooth pain subsides before calling our office. If you start to feel better, you won’t need emergency dental care. If you recently knocked out a tooth, you’ll need to make sure it stays moist. Ideally, you’d be able to gently place the tooth back in its socket. However, we also recognize that this isn’t always possible. If you’re unable to place the tooth back in its socket, we recommend submerging it in milk. Once the tooth dries out, our 24 hour dentist won’t be able to plant it back in its socket. Always handle the tooth by its top, also called the crown. You should never pick up a tooth by the roots. Otherwise, you will damage important cells our emergency dentist needs to implant your tooth back in its socket. If you play a contact sport, you have a higher risk of being hit in the mouth and needing emergency dental care. Fortunately, a sports mouth guard forms a protective barrier over your upper teeth so you don’t have to worry about knocking out a tooth during your next game. These are just some of the many tips that can help you out during a dental emergency. If you need help with a painful tooth or other emergency, don’t hesitate to call our office for further instruction. Our emergency dentist is on call 24 hours a day, 365 days a year. 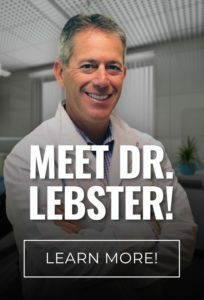 Dr. Ryan Lebster DDS is a 24 hour emergency dentist in Holland, MI who offers oral surgery and other dental services to his patients. To request an appointment with our emergency dentist, call RediDental Emergency Dental Care at (616) 796-3200.